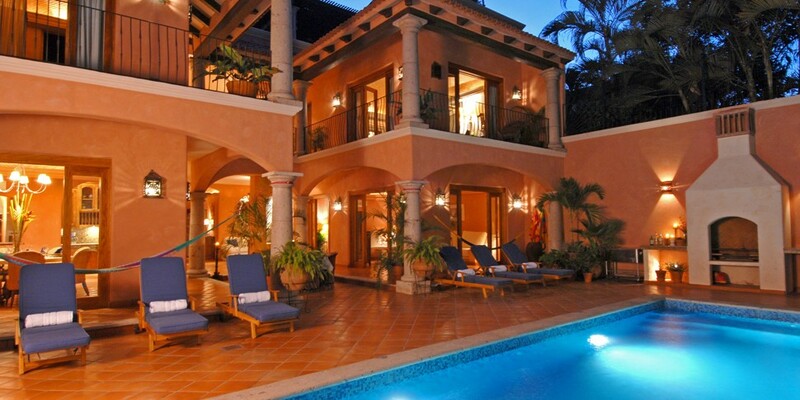 Discover luxury and the beach lifestyle at Hacienda Camino al Mar, a newer 7 bedroom, 7 bath private villa that is perfectly situated just a ½ block to miles of beautiful beach in the heart of Bucerias “Zona Dorada”- 10 miles north of the Puerto Vallarta International Airport. 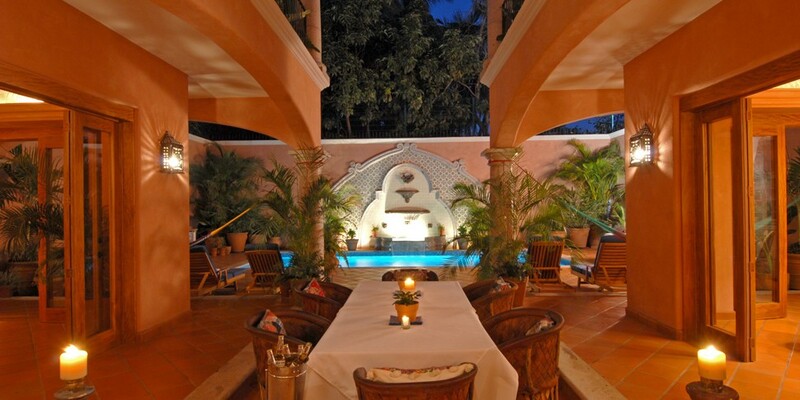 Enter the villa through 100 year old Mesquite doors, hear the trickle of Talavera Mexican fountains and step back in time. 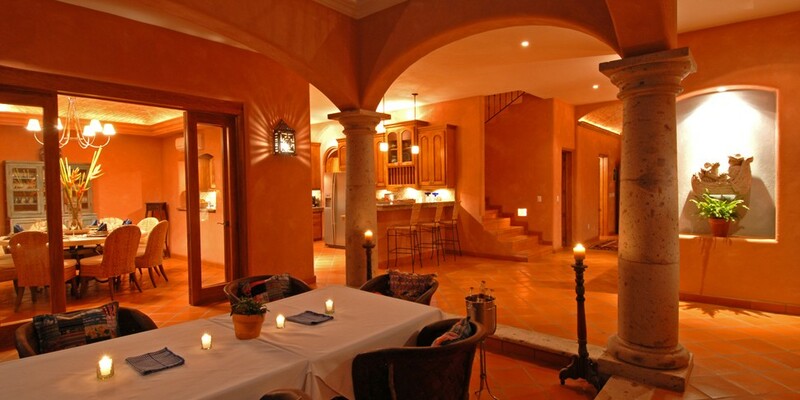 You will be greeted by the best hospitality Mexico has to offer with a cold margarita and a warm smile. 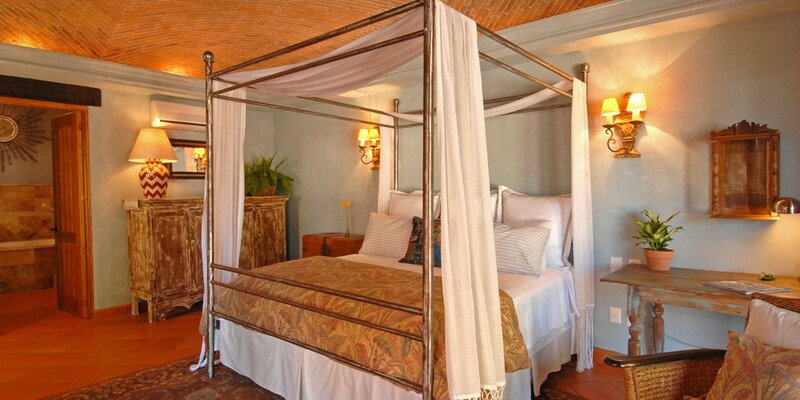 Hacienda Camino al Mar captures the romance of Old Mexico with over 8000 sq. 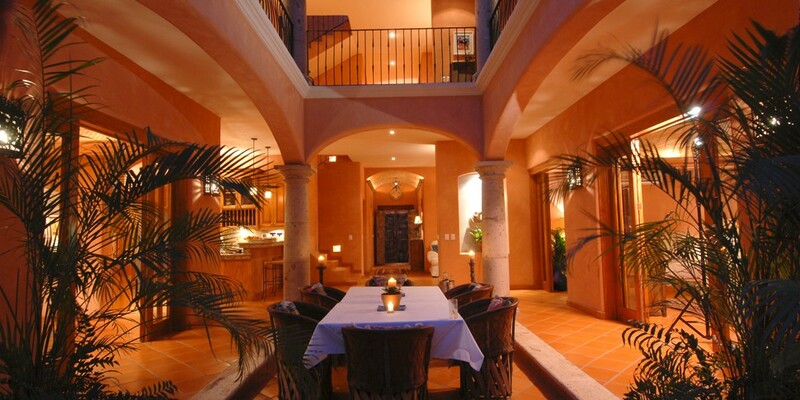 ft of elegant Spanish Colonial style and modern conveniences. The villa was designed by renowned Puerto Vallarta architect, Arturo Ramos, to enjoy the ocean air and to blur the line between indoors and out. Take an evening stroll down the beach, an after dinner dip in the natural salt purified swimming pool or have a cocktail and watch the sunset from the rooftop terrace. 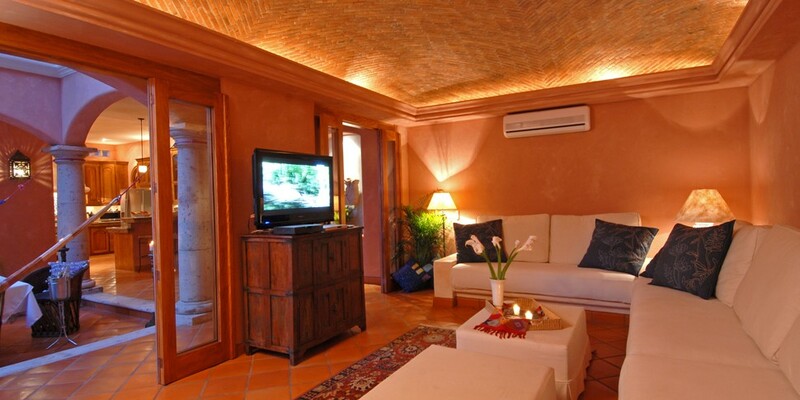 Experience an unforgettable vacation in the pampered luxury of your own private coastal retreat! 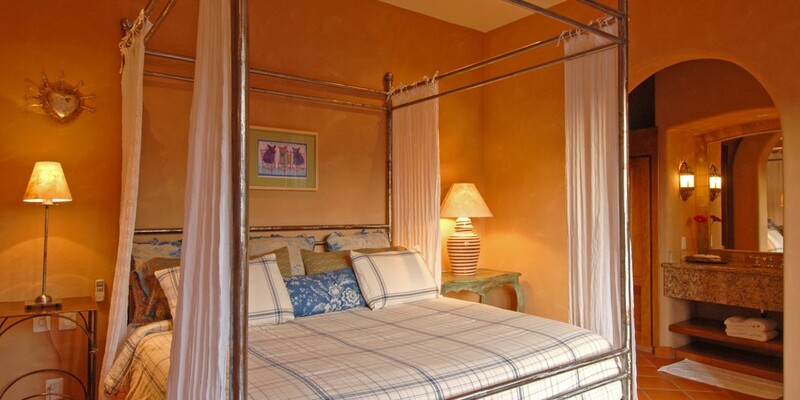 Your full staff will accommodate your every need to ensure your visit is full of leisure, comfort and adventure! • 2 mountain bikes for exploring Bucerias and Nuevo Vallarta “Riviera Nayarit”. • Beach umbrellas, beach chairs, ice chest, beach picnic, blankets, towels, and beach toys (boogie boards and sand toys for kids). 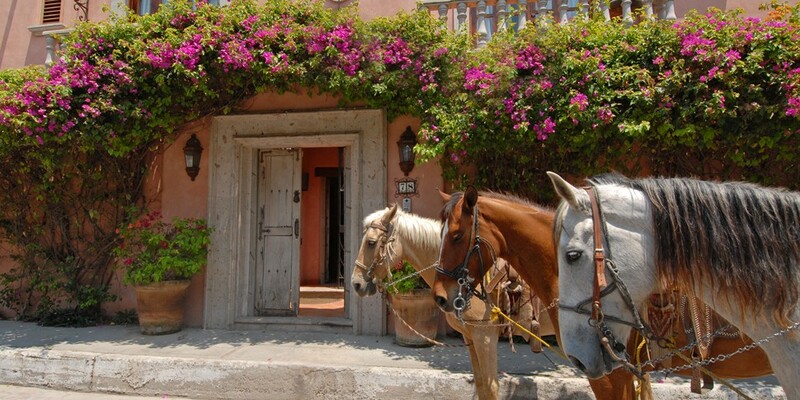 • Houseman can arrange for horseback riding on the beach (or in town), jet skis, sunset sails, fishing, snorkeling, surfing lessons, ATV rentals and more. • After the sun goes down, roast marshmallows around a beach bonfire and listen to the lull of the waves. 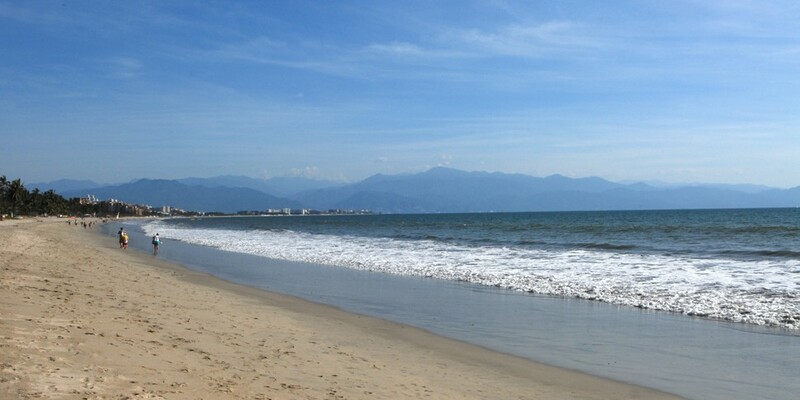 • 10 miles north of the Puerto Vallarta, escape the city crowds in “Riviera Nayarit”, easily within reach yet worlds away. 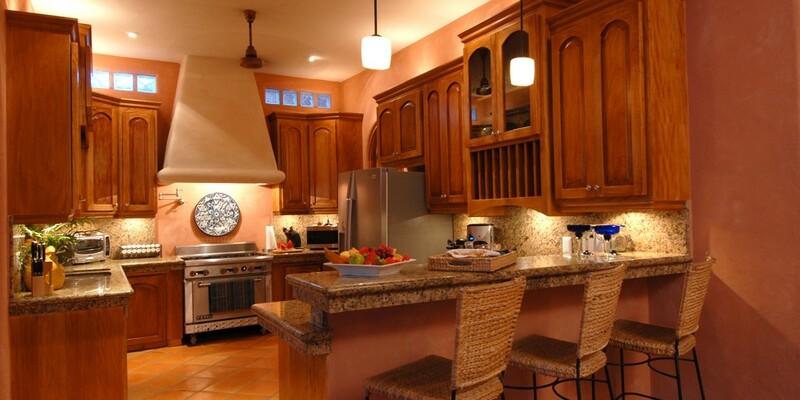 • Walk out your front door to the famous Mark’s Bar and Grill, Adriatico, Karen’s Place, Sandrina’s, Quinta di Francesco, Rosa Mexicana, Luna Luna, Meson Bay, Mezzogiorno, and more…all located within a one block walk of the villa. **1 Night Free! Pay for 6 nights, stay for 7 for Saturday to Saturday stays. Doesn’t apply to Holidays. Rates subject to change without notice. Rates are plus 16% tax. 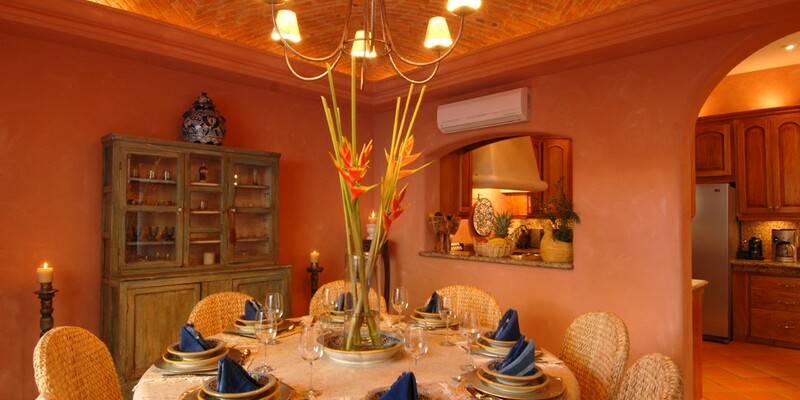 **The new neighboring 3 bedroom Casita Camino al Mar can be added for larger groups to provide up to 10 bedrooms and 2 swimming pools (the 2 combined villas can sleep up to 20 adults and 6 kids). 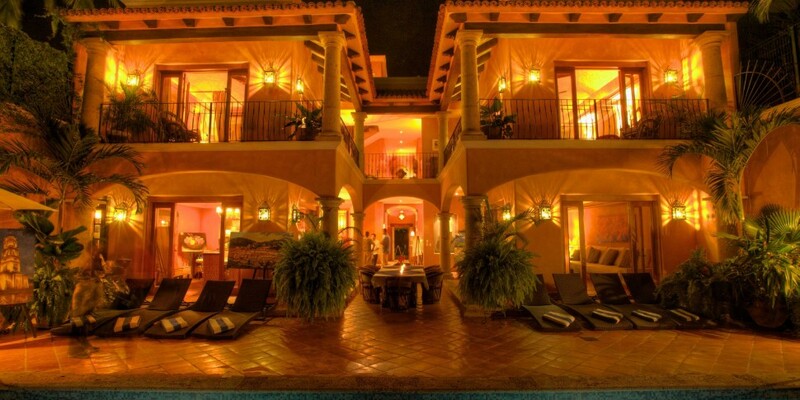 The 2 villas can open as one via the pool/back patio area. 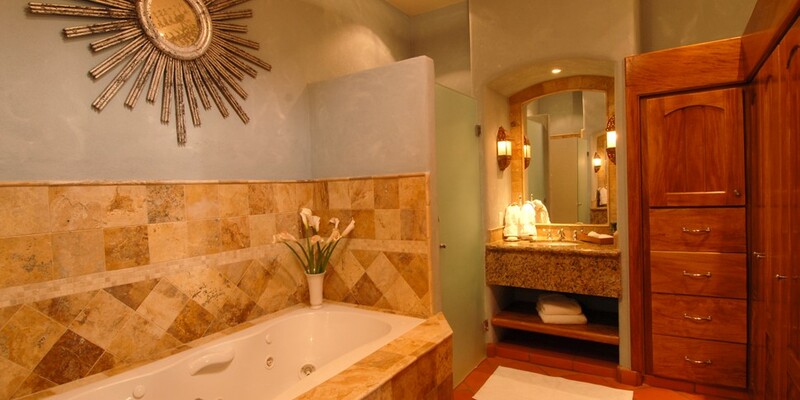 Please see Casita Camino al Mar 3 BR listing for additional information. Bedroom 1: Kingsize bed, ensuite bathroom w/shower, main level, TV w/cable, A/C, fan, handicap accessible. Bedroom 2: Kingsize bed (can be split into two twin beds), ensuite bathroom w/shower, main level, TV w/cable, A/C, fan, handicap accessible. Bedroom 3: Kingsize bed (can be split into two twin beds), main level, A/C, fan, handicap accessible. This room is smaller and can be open or closed to Bedroom 2. 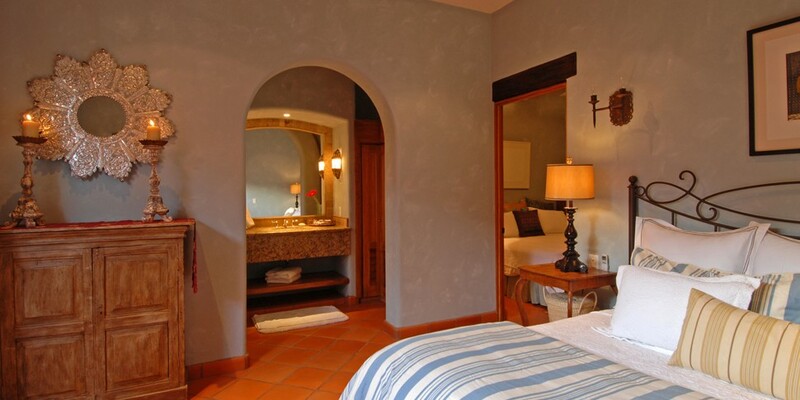 It has access to the hall 1/2 bath just outside the bedroom and would share Bedroom 2’s shower. Bedroom 4: Kingsize bed, ensuite bathroom w/shower, 2nd floor, TV w/cable, A/C, fan. Bedroom 5: Kingsize bed, ensuite bathroom w/shower, 2nd floor, TV w/cable, A/C, fan. 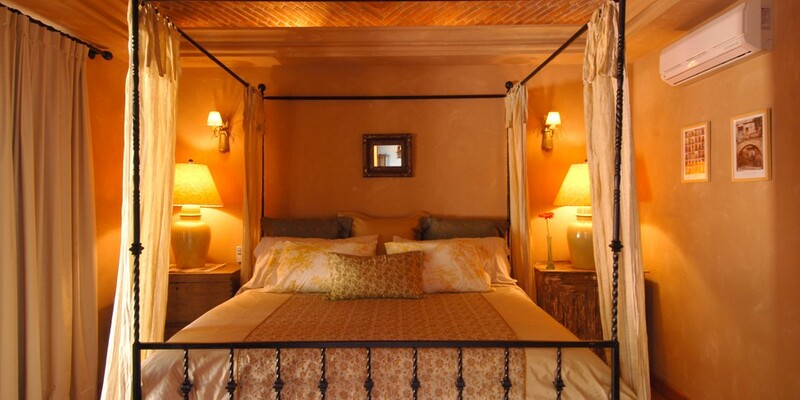 Master bedroom 6: Kingsize bed, ensuite bathroom w/shower and jacuzzi tub, 2nd floor, TV w/cable, A/C, fan. 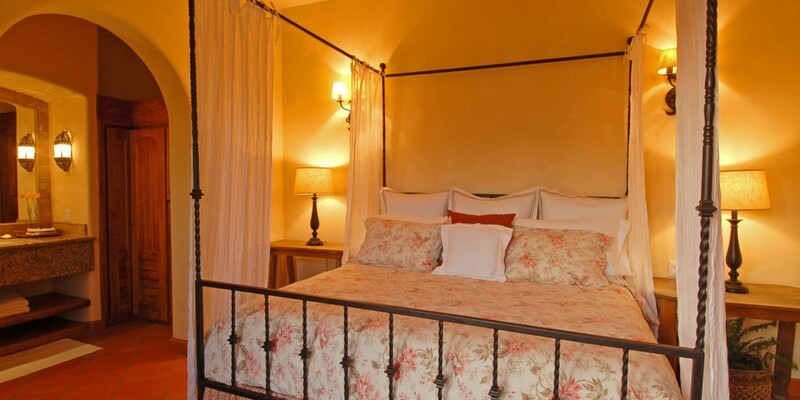 Master bedroom 7: Kingsize bed, ensuite bathroom w/shower, 2nd floor, TV w/cable, A/C, fan. Meal service includes; upon request breakfast, dinner and Happy Hour snacks (grocery receipts to be reimbursed daily or as the staff shops by guest). 2 mountain bikes for exploring Bucerias and Nuevo Vallarta “Riviera Nayarit”. 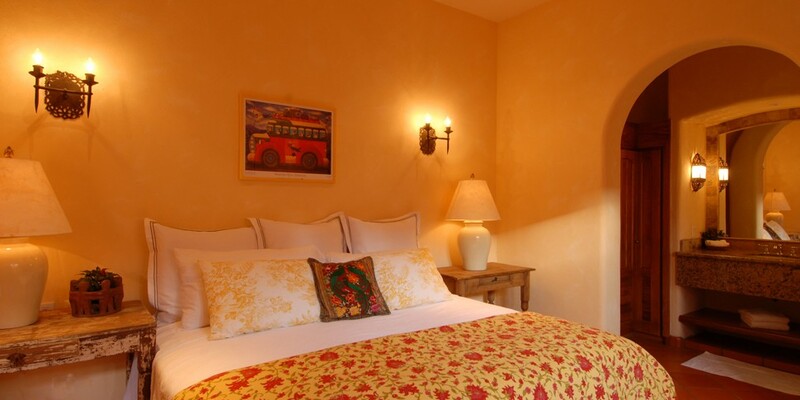 Additional amenities: 400 thread count luxury bedding, towels, and linens, IPOD compatible Stereo, DVD/VCR, BBQ, iron, ironing board, and a selection of movies and games. 1 Portacrib, 5 fold out twin mattresses for children sharing a room w/parents, high chair, and booster chair available. Any additional baby equipment rentals can be arranged by contacting www.vallartababy.com. Beach umbrellas, beach chairs, ice chest, beach picnic, blankets, towels, and beach toys (boogie boards and sand toys for kids). Houseman can arrange for horseback riding on the beach (or in town), jet skis, sunset sails, fishing, snorkeling, surfing lessons, ATV rentals and more. After the sun goes down, roast marshmallows around a beach bonfire and listen to the lull of the waves. 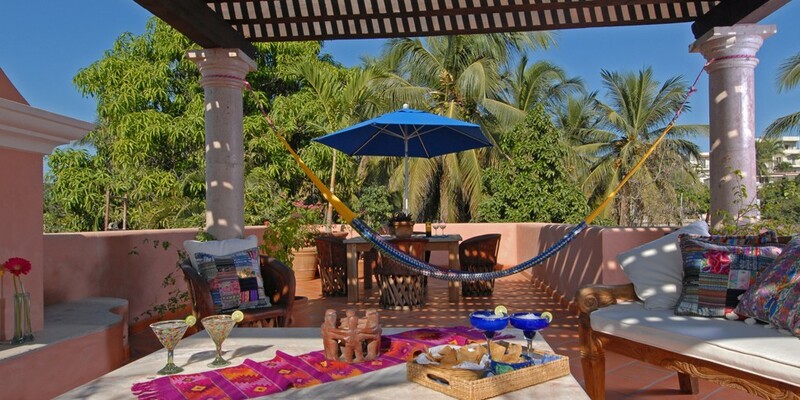 10 miles north of the Puerto Vallarta, escape the city crowds in “Riviera Nayarit”, easily within reach yet worlds away. 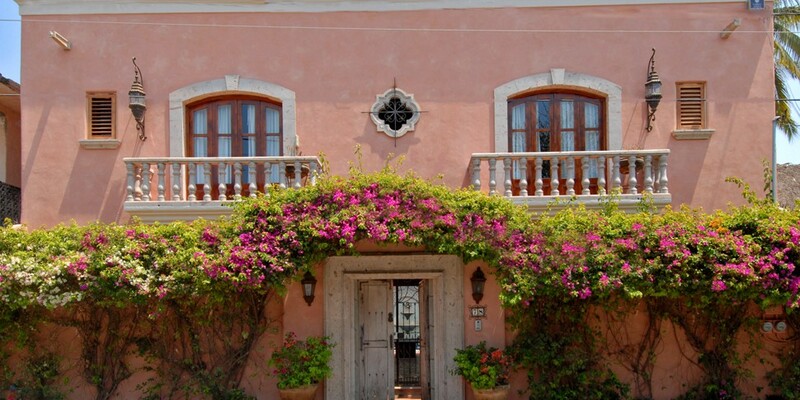 Walk out your front door to the famous Mark’s Bar and Grill, Adriatico, Karen’s Place, Sandrina’s, Quinta di Francesco, Luna Luna, Rosa Mexicana, El Brujo, Meson Bay, Mezzogiorno, and more…all located within a one block walk of the villa. 1 Night Free – Pay for 6 stay for 7 nights for Saturday-Saturday stays! 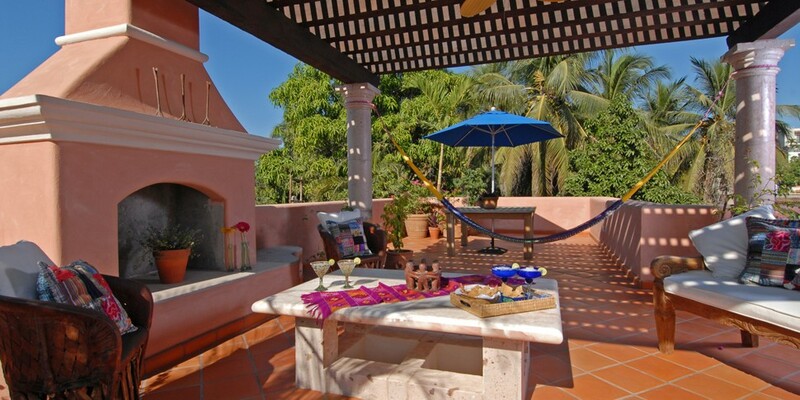 7 girlfriends and myself enjoyed a wonderful week at Hacienda Camino Al Mar Oct 17th – 24th. It was our second time there, our first experience was five years ago in 2010. We had a fantastic time! The staff was truly amazing, Alejandro, Denise and Angela went out of their way to make sure we were very well taken care of. I highly recommend trying this out as a vacation destination, it is perfect for large families wanting to holiday together or a group of friends, you will not be disappointed.